iDRIVE.co.za has been specifically developed for driving school businesses. Unlike most business directories and advertising mediums (some of which are really expensive and only provide one-way form of communication), iDRIVE.co.za offers a unique, cost-effective platform from which you can market your brand. At iDRIVE.co.za, you can advertise & manage your business, monitor new leads and engage in two-way communication with your customers – all in one place. Best of all, it really is simple and easy to use. Seriaas! See, how it works is: we deal with and cover the costs of the complicated, technical behind-the-scenes stuff so that you can just get on with business. Sound too good to be true? Well here’s the real whopper (tighten your seat belts for safety) – you don’t pay any monthly fees. Nope! We only charge you for the business opportunities you get through us. See, we’re keeping it simple. Everything’s explained carefully below, so read on and enjoy the ride. Search Engine Rankings, Facebook, Twitter, Social Media, Google Rankings, Mobile, Blogging and any digital destination your customers spend their time on, we’re there. Your driving school will have the support and experience of a network of online marketing professionals with over 10 years worth of experience. Your details will be featured on the iDRIVE.co.za website search form and directory. Through iDRIVE.co.za Mobile, this information will also be accessible to those who are using mobile phones to access the internet. You get your own website on the iDRIVE.co.za domain – www.idrive.co.za/your-driving-school. You may add as many pages to your website as you like and you’ll be able to log in and update your website – yourself – for free whenever you want. (Activities like updating your service offerings, rates, pictures, contact details). It’s your space to use as you please. Your own email address on the iDRIVE.co.za domain will also be provided upon request. Your website’s will be provided with three types of contact forms, which you can enable or disable as you please. SMS contact form, will allow people to send you an SMS directly from your iDRIVE.co.za profile. A ‘Request my contact details’ form allows learner drivers to request your contact details – they can opt to receive it via SMS or email. This allows them to contact you directly, prevents you from getting spam and allows you to tack the source of your business. Success is measurable. When you log in, you will be able to see how many times each page of your website has been viewed and how many people have used each of your contact forms. The contact forms will include your customers’ details so you can easily follow up or get in touch with them at any time. If you’re a growing driving school, you can add additional driving instructors on your iDRIVE.co.za account under your original driving school’s administration. Each new instructor added to your driving school membership will get their very own Search and Directory Listing as well as their own homepage with contact forms for statistics and tracking. PLUS, each instructor’s listing and homepage is linked to your driving school’s website on iDRIVE.co.za. This brings more exposure to your brand. *You can also opt to have all the contacts/leads generated via your various instructors routed to a central contact person (preferably the driving school administrator). Or otherwise, allow contact to be made directly with the individual driving instructors belonging to your school – it’s your decision. It’s really simple. We don’t charge you any monthly fees. In fact, we don’t really charge you for advertising at all. iDRIVE.co.za only charges you for each new lead generated through your website, or in other words, each new customer to make contact with you. So, once you’ve secured a new lead, it doesn’t matter how many lessons they book with you, we’ll only charge you a fee cheaper than a litre of petrol. So you see, we are actually not charging you for advertising, we’re really just charging a small fee for connecting you with a new customer. This way, you only pay for what you get. 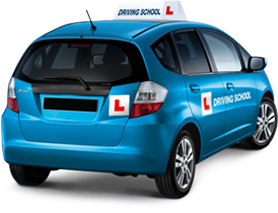 Driving Schools & Instructors Signup Here Now!